The Collie Country Music club invites you to take to the floor and enjoy a night of old fashioned country dancing with musical guests. Kick up your heels at the Jamboree to be held at the Synergy Hall Collie. Saturday start time is 10am-6pm with guest artists Sarah Broome, Kevin Bennetts and Rob Hodgson. Lunch available – soup, beef & gravy rolls. You can bring your own alcohol. Light refreshments will be available. The “shed” was once the bustling heart of the town, where the steam trains of old pulled right in to unload their cargo. One of the features of the building are the massive jarrah beams of a size that are rarely seen today. Browse around the many stalls of cakes, books, plants, crafts, fruit, cakes, sheep manure, etc. 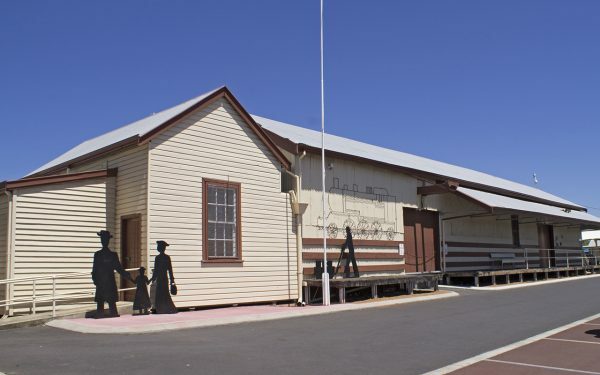 View the railway interpretive display in the ticket office or enjoy morning tea in the “Coach Café”, a restored dining carriage. The Dining Carriage serves delicious Devonshire tea’s, Espresso Coffee’s, Toasties and a selection of cakes. “Imaginary Voyage” is a collaborative initiative by four talented artists, who have interwoven their creative skills to bring you this inspired exhibition. This exhibition gives you the opportunity to ﬁnd your own mystery and storytelling in their work. Each artist, unique in their individual expression, have found a mutual connection, combining their unique skills to create this exhibition. Paintings, Drawings, Jewellery and Sculpture will be exhibited promising you an enjoyable and inspirational viewing. Opening Night is Saturday 23rd March, starting at 3pm – 5pm. This Exhibition is on show until April 21st. 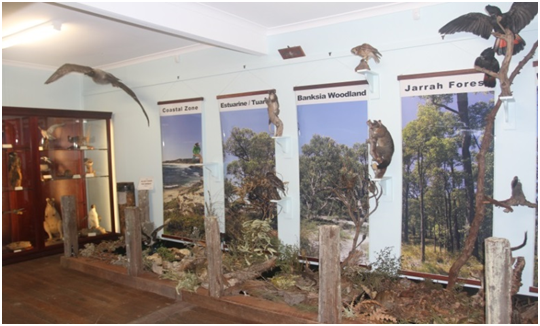 Come and visit the wonderful NEW wildlife display at the Wellington Discovery Forest showcasing the amazing native animals found in the southwest region of WA. 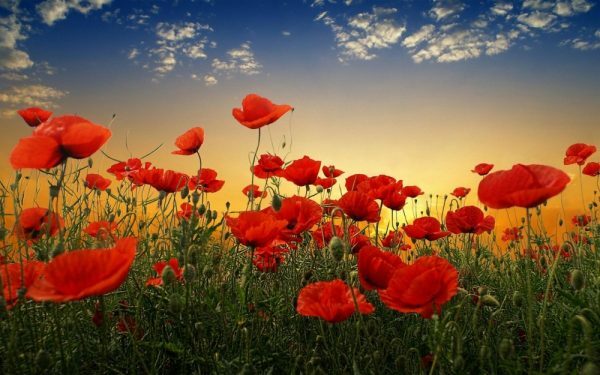 Fellowship: Following the 11am service the RSL premises are open to the public for wiewing. Drinks and a light lunch are available at a small cost. Children are welcome. Two-up: The annual two-up game commences at 1pm and runs through until 5.30pm. Come along and have a little flutter. The Collie Art Gallery is pleased to announce the National Portrait Gallery’s National Photographic Portrait Prize 2019 will be on display from 26 April – 9 June 2019. Now in its twelfth year, the annual exhibition draws from entries submitted by photographers across Australia. This year 39 photos were selected from more than 3,000 entries to form the exhibition. The Prize reflects the distinctive vision of Australia’s aspiring and professional portrait photographers and the unique nature of subjects. The official opening is Friday 26th April 6pm-8pm. The exhibiton will then be on show from Saturday 27th April till Sunday 9th June, 10am-4pm. The ‘Smarter than Smoking’ Collie Motorplex has earned a great reputation as the home of regional motorsports in W.A. With an event every weekend, except Christmas weekend, and with most events free for spectators, it’s a great family outing. The Motorplex also holds varying levels of driver training and cater for a wide range of customers, ranging from high school students to the WA Police Driver Training Unit. Read more here…. All events organised from April 12-22 have been cancelled due to track resurfacing.